If you’re one of those people who don’t understand the point of the Tea vs Coffee debate (because c’mon, who in their right mind would choose ANYTHING over coffee, right? 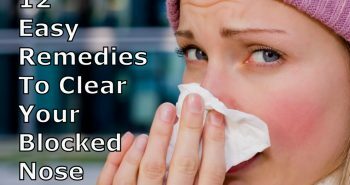 ), and there’s no way you can even get out of the house without having your cup of coffee first, then you’re in the right place! So here’s our pick of the Top 15 Best Premium Coffee Brands – some famous, some that you’ve heard of and some that you’re going to be itching to try! 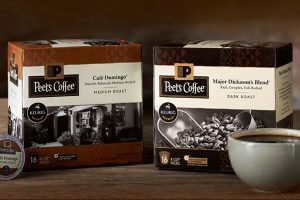 Peet’s coffee is a California based specialty coffee roaster and retailer. They’ve always been known for their dark roast method of brewing coffee and since being founded in 1996, they’ve been recognized as the grandfather of specialty coffee in the US. 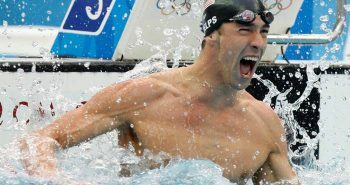 What’s so special about them, you ask? Well, they serve tons of exciting varieties of coffee. For example, one of their most famous varieties is the Uzuri African Blend, which is a robust yet fruity medium roast, with hints of red berries. A 12 ounce packet of this blend retails for $10. Another top seller is the Arabian Mocha Sanani, which is a deep roast and is described as “lush and spicy like wine, with hints of cocoa and dates”. This one retails for $24.95 per lb. 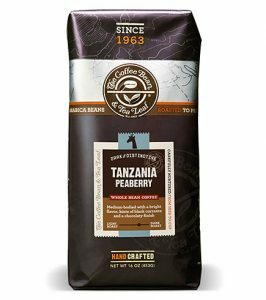 This coffee comes from Northern Tanzania in Africa and offers a floral Jasmine aroma with bright medium bodied flavor and hints of black current and a chocolaty finish. What’s special about their coffee is that it is dried on wooden tables with a screened bottom to allow air circulation. This makes sure that every bean is dense and uniform, giving you a consistent and focused flavor. The interesting thing about Kona coffee is that it is grown in only one place in the world, which is the Golden Kona Coast on the Hawaiian Island. 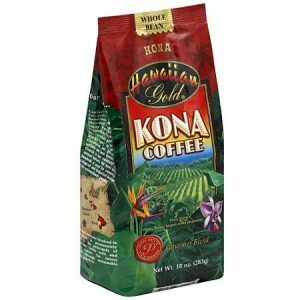 There are many different brands that claim to be selling “Kona Coffee” from the coast, but this brand is the real deal. It uses the largest Peaberry Kona coffee beans which are very rare, and unlike other brands that sell thinner blends with as little as 10% of real Kona coffee in them, this Brand procures their beans from the same kama’aina families that have been owning the Kona coffee farms for generations, making sure that you end up with the most authentic blend. 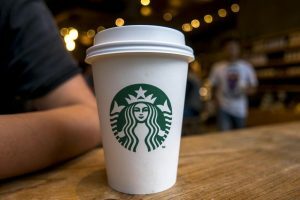 Who doesn’t know Starbucks? You’re not a coffee lover if you’ve never tried one of their coffees with your name scribbled on the cup. They have more than 15,000 stores in over 50 countries and are the premier roaster and retailer of specialty coffee in the world. Their coffee is made by the finest Arabica beans and you’ll know the difference that makes if you’ve tried their coffee. Their Caffe Americano is severely raved about – you have to give it a try if you haven’t yet! This brand offers a unique floral fragrance and taste that is paired with fresh hints of citrus. 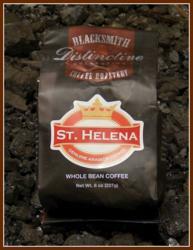 Not only that, but the coffee beans are also exclusively grown on the St. Helena Island and it is said that Napoleon Bonaparte loved their flavor so much that he took to tending to the trees himself. 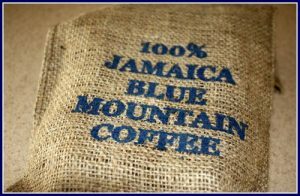 It’s cultivated in the Jamaican Blue Mountains and has also been regarded as the world’s finest coffee time and again. The Blue Mountain coffee is known for it’s blue color and intense aroma and acidity. Even though they’re as expensive as $49 per lb, they sell like hot cakes. They’re Canada’s #1 selling whole bean coffee. This could be because they’re 100% organic and fair-trade, or because they claim all their coffee is roasted right in the middle of the Canadian Rocky Mountains, which gives them an edge. 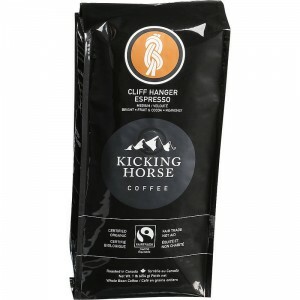 One of their all-time top sellers is the Cliffhanger espresso, which is special because it has a combination of beans selected from three continents – Asia, Antartica and Africa, which gives them the unique taste of acidity and fruity tones. They get their beans from Puerto Rico, where coffee is grown on a huge scale. So you’d obviously think that their coffee is cheap, right? Sadly, that’s not the case. 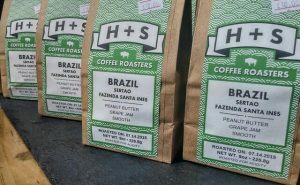 Their coffee is of a higher quality and makes a much better blend, which is why it retails for $24 per pound. 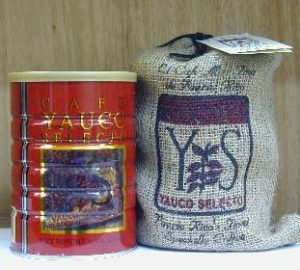 Yauco Selecto coffee has a rich and unique buttery flavor because it’s grown in nutrient rich clay soil with very high rainfall and advanced farming techniques and the result is out for you to see! In 1985, they were one of the first five specialty coffee wholesalers in the U.S. Today, they offer more than 250 varieties of coffee and pride themselves on having the largest specialty coffee customer base in the Midwest. They have a full service roasting facility located at Illinois, which allows them to control the entire process of roasting, blending, packaging and shipping, which means detailed attention to every process and serving only the best to the customer. If you’re ever in the area, you have to try their Cinn Ful Nut and Caramel Kiss coffees; they’re known to be their best! 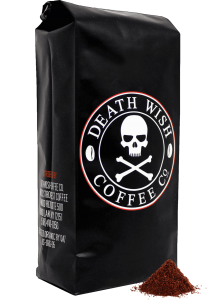 They claim to make the world’s strongest coffee, which is probably why a pound of their coffee retails for $19.99. The coffee has a smooth taste with subtle notes of cherry and chocolate. What’s interesting is that they promise to return your money in case you feel it’s not the strongest coffee you’ve had. You can also use this coffee in recipes – it gives you a strong buzz and is definitely addictive! They’re a family operated business and to this date, use traditional methods throughout all stages of coffee production. It is this love for tradition and their insistent efforts in using natural spring water to irrigate their fields that makes their coffee so loved throughout the world and makes it retail for $50 per lb. This premium coffee that has been grown in rich and fertile soils has a distinct sweet berry and caramel taste. 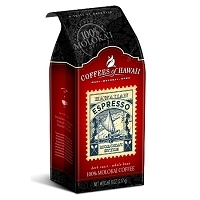 The Hawaiian Molokai coffee is known worldwide for it’s intense floral flavor with a caramel and berry finish. It is not a brand that’s easily available but if you’re lucky, you can get a pound for $51. This brand is grown exclusively in the Kualapu’u area in Maui county. The coffee is mildly acidic and full bodied, thanks to the ideal soil conditions of Hawaii that never disappoint. Organo Gold began with the vision to introduce the ancient Chinese herb Ganoderma to the rest of the world. This vision ended up becoming one of the most raved about Coffee brands in the world. 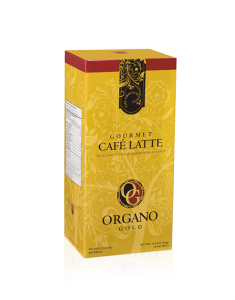 The reason why Organo Gold coffee is such a hot seller is because it claims to be super healthy and contains 100% organic Ganoderma which has been dubbed as the “king of herbs”. The Organo Gold coffees do come with a hefty price tag (a box of 30 sachets of their black coffee retails for $13.69 on Amazon), but they also come in many different varieties to suit your taste, such as the Gourmet black coffee, Gourmet mocha, Gourmet café latte, Jamaican Blue Mountain coffee, etc. The Luwak coffee beans undergo an exclusive selection process. They are first ingested by an animal called the Civet. The beans are then fermented during digested and collected from the Civet’s dropping. All this intensive processing allows the final product to take birth. 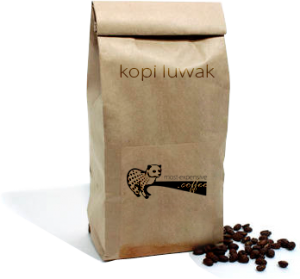 Luwak coffee is probably one of the most coveted coffee brands for this very reason, which is why coffee lovers readily shell out $160 per lb. They use more than 50 different varieties of 100% original Arabica coffee beans to “create exceptional coffee for everyone”. 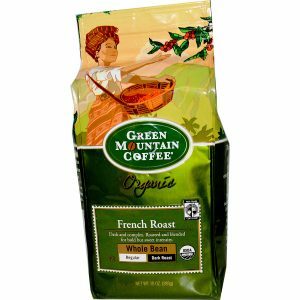 You have to try their Breakfast Blend – it is a beautifully balanced traditional American-style coffee with dry acidity and slight fruity notes. You can also try their Three Continent Blend, which quite literally, has a combination of beans from Sumatra, Ethiopia and South America.